This excellent photo taken by Bryn Price at Blue Doors Studio. The beer geek community regularly get excited about the upcoming release of a new beer. Sometimes we’re like a cat and someone’s waving tinsel just out of reach – we think ‘‘Oooo, shiny thing!’’ and decide we need to have it. And then, the next beer comes around and the whole cycle repeats itself. But the buzz around the release of the bottled versions of Doctor’s Orders beers seems to be over and above the general excitement levels created by a new beer. Maybe that’s because Darren Robinson – aka Doc (it’s a nickname – he’s not an actual doctor) – makes beers that geeks are virtually hardwired to love. The Cephalopod made with squid ink was bound to get geeks excited, as would a porter flavoured with wasabi or a Berliner weisse with rhubarb. But there’s also the genre mashing of white stout, black pilsner, black saison and the Belgian oatmeal IPA. And they’ve never been wacky ‘‘drink it once to say you’ve had it’’ beers. They’ve been well-made beers that you want to go back to. Maybe the fact the beers are all seasonal releases has something to do with it as well. Each beer is only around for three months – do beer geeks love anything more than scarcity? Anyway, the first beer is now in bottles and I expect geeks will be like a flock of seagulls once a few chips have been thrown their way (to continue the stupid ‘‘beer geeks are like animals’’ metaphor I established at the start). 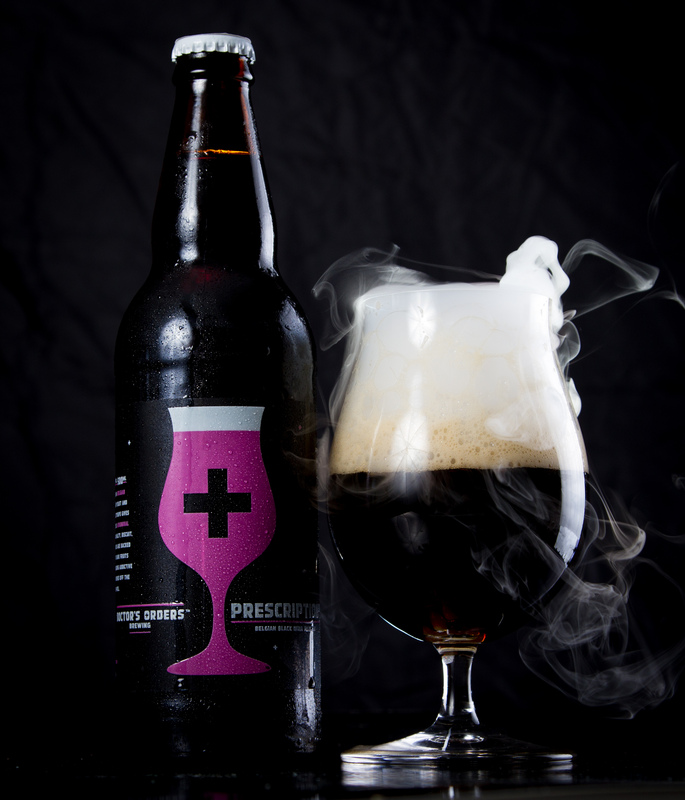 It’s Prescription 12, a Belgian black IPA which keen geeks will notice is the spring seasonal and we’re into summer. Seems there were some delays regarding getting some parts shipped in for the bottling line and that held things up. But, jeez, who’s complaining? Doctor’s Order’s beers are in bottles. The recent rainy evenings have actually been great for this beer. For the uninitiated, the Prescription gives off your Belgian yeasty aromas and some dark fruitness and there’s a bit of IPA pine at the back. The flavour is the same, with the addition of some dark chocolate. As you’d expect it’s a balanced beer, and there’s not much sign of the 7.6 per cent alcohol count. If you own a bottle shop with a decent craft beer selection, you need to stock this because it will fly off the shelves.The next release is due out in a week or two and it’s the summer seasonal Zephyr. I love that beer so much – will probably end up blowing some bucks on ordering a case of the stuff. And if you’re a local bottle shop stocking that, you’ll be getting my money. Think about that, Wollongong bottlos.